What Does Toad From Mario Kart Look Like Then? Home » Games » What Does Toad From Mario Kart Look Like Then? 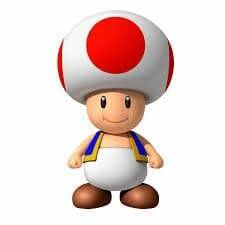 Apropos of nothing, this is what Toad from Mario Kart looks like. Just in case, for some unknown reason, you wanted to know just what he looked like. In the Mario Universe, Toad is Princess Peach’s attendant and a long time protector of the Mushroom Kingdom. A singular character among an entire species of look-alikes , he usually has the role of a supporting character who tries to help Mario and Luigi on their adventures, although he occasionally has been the main protagonist, such as in Super Mario Bros. 2, Super Mario 3D World, and his starring role in Wario’s Woods. His role as Peach’s steward has sometimes instead been given to Toadsworth. His head is made up of a bulbous mushroom entity that is far wider, disproportionately so, than the rest of his body. He is also rather squat and short. He remains one of the more unassuming characters in the Mario world and would never be put in charge of anything. There. Now you are clued up. Just in case it comes up in conversation for some reason. Oh and he also plays golf as well.